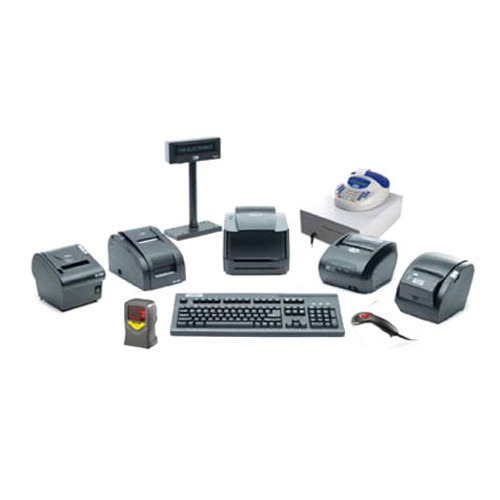 we are engaged in providing you the best range of POS Peripherals such as POS Peripheral and MSR Keyboard with effective & timely delivery. In order to ensure their quality and durability, these are cautiously inspected on different parameters using advanced machines, equipment and tools. 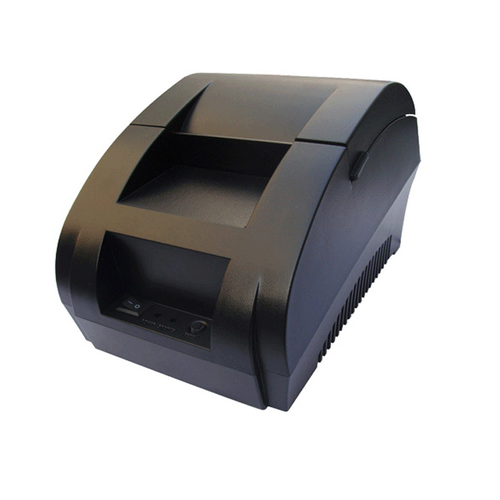 RP-3200 3 inch Direct Thermal Receipt Printer Faster. Crisper. Quieter. Prints 60 bills per minute: Speedy output. Ideal for high traffic outlets. Print your logo: A special feature that lets you customize the bill with your logo. Superior print clarity: Makes your bills easy to read specially for your customers. Auto Cutter: Cuts bills neatly at the end of printing so that the remain presentable. An all inclusive 2-year Warranty: Offered only by TVSE, it make the cost of maintenance zero for you. OPOS Compatible: Allows you to integrate it even with high end ERP like SAP. We are proud of our reputation for putting the customer first in every area of our operations. This attitude is one of the most important contributors to our success and to the success of the customers we serve. Printing speed of 15 bills per minute: A phenomenal printing speed that ensures that there’s no long queue at your billing counter. 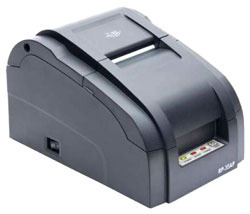 Lasting Ribbon Cassette with 3 Ink Banks: Each ink bank prints up to 15,000 bills. Easy refill of Ribbon Cassette. An all inclusive 2-year Warranty: Covers even the Print Head, the most expensive and critical component. Which means, zero maintenance cost for you. Turbo Print Speed - Prints 15% faster than. 6.8 lps @ 30 col - Serve Customers faster than ever! Prints even on 4" Roll paper - Can print on 2.25", 3" & 4"- Wider Roll paper Capability. 4-in-1 Connectivity - USB, Serial, Parallel with cash drawer support. 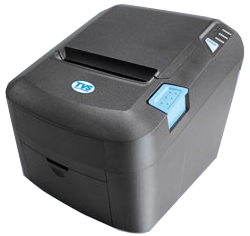 RP-3160:inch Direct Thermal Printer Fast and Quiet. Tired of the noise your billing printer makes? Would you like your printer to be a lot faster. 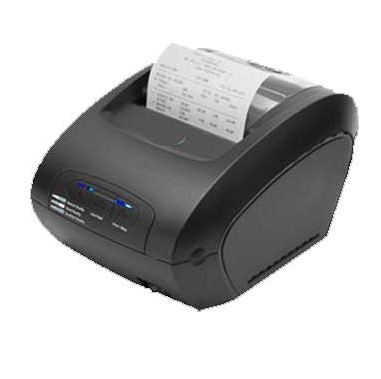 Then, Thermal Printer is what you’re looking for. An ultra sleek printer that goes well with the ambience of your retail space, it prints at blinding speeds to keep pace with the huge customer traffic, offers great print clarity and keeps your retail space absolutely noiseless. Ideal Printing Application - Prints bills, Receipts, Tokens, Coupons, Gate Passes & Tickets Print more and many in a flash! Offers a wide choice of paper roll sizes Unlike conventional Dot Matrix Printers, it lets you print bills on – 2.25’’, 3” and 4” wide roll paper giving your customers more details. 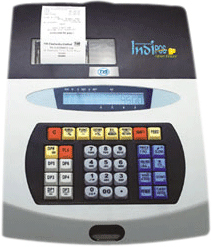 Do you want a POS terminal which works 24x7? Do you think your existing POS terminal occupies too much space?. Then IndiPOS PT262 is what you’re looking for. A POS terminal which is 20 % smaller than most other devices, it works in the most challenging terrains. PT 262 has been designed to work in the 'Heart of India’ environment prone to dust, fluctuating voltage etc. This product has an In built battery that can bill up to 200 bills (2 hours) without POWER.